Many leading beer brands hope you’ll turn on your TV and get turned on by their commercials. You find them duking it out, often during sportscasts, with boundless (and often absurd) attempts at comedy. Makers of the popular Fat Tire brand, New Belgium Brewing, avoid the cliché approach. The company from Fort Collins, Colorado is serious about content marketing and uses it to build community in a number of insanely creative ways. According to the 2014 edition of the B2C Content Marketing study by Content Marketing Institute and MarketingProfs, the four tactics rated highest for effectiveness by participating marketers are in-person events, eNewsletters, videos and social media. Unsurprisingly, New Belgium pours itself into each. And with a strategic, outrageously entertaining and integrated approach to the four tactics, they produce a very intoxicating mix of content. Does New Belgium have a rigid recipe? I asked Bryan Simpson, New Belgium’s media relations director, if their content marketing recipe is as calculated as the mix of ingredients in their brews. Simpson said Tour de Fat dates back to the early days (late 90s). 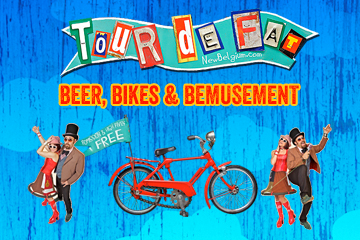 Wait, you say, Tour de … What?! Beer is seldom associated with fundraising. 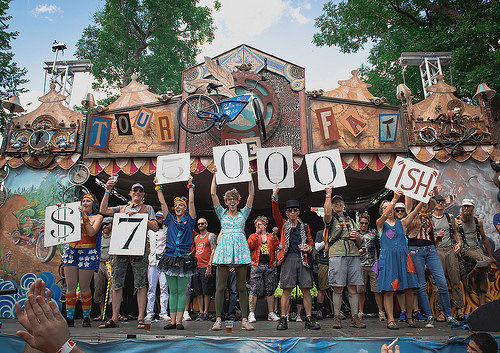 This year the Tour de Fat, which takes interactive sculptures, art bikes, beer, good times and live music on the road, raised $625,000 for cycling-related nonprofits across 10 cities. Any questions? Of course, as your self-appointed guide de Tour de Fat, I had a few. Bryan said the brewery doesn’t take money out, but funnels all proceeds into a non-profit scenario to benefit the community by advocating for better bike lanes and infrastructure. The goal is to make fundamental change in the community. In the early going, Tour de Fat visited six cities with varying degrees of success. The company stuck with it and attendance started to grow. The tour drew 25,000 in Fort Collins this year and broke $100,000 for the non-profits for the first time. He said they’re approaching about $4 million raised over the lifespan of the event. It’s been a great success for bike advocacy and allowed New Belgium to make truly meaningful connections in the many communities it visits. 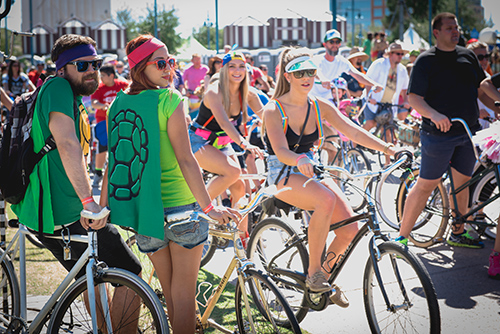 Clearly, Tour de Fat is more than a story of a beer company hosting events. It’s a unique offering that casts New Belgium Brewing as the hub in the center of a wheel (or tire) with spokes connecting to local causes, local artists, bike enthusiasts, entertainers, the host cities, families and of course, beer enthusiasts. 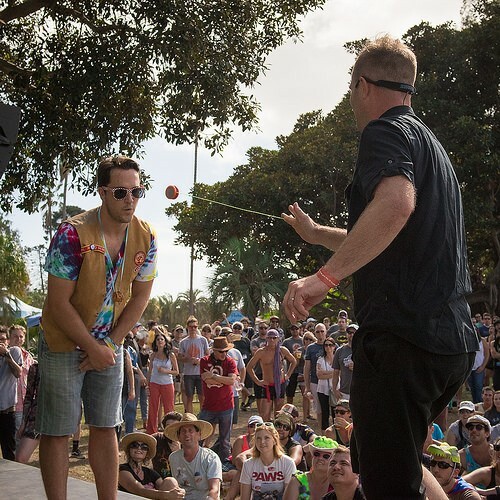 Tour de Fat is a great place for the family to take in a yo-yo show, just one of the event’s kooky forms of entertainment. In recent years, New Belgium has also created the “Clips Beer and Film Tour,” a beer-toting, film-traveling, nonprofit-benefiting show that travels coast-to-coast landing in 28 cities. “We had an inflatable outdoor movie screen and for years we had been showing classics, a bit of art-house cinema and a lot of throwback comedy stuff,” Bryan said. New Belgium decided to take to the road with the idea. They now conduct an annual online film festival calling for submissions from filmmakers early in the year. More than 100 short films are submitted every season. “This Sh*t Is Banana’s” stars a banana talking about New Belgium beers. 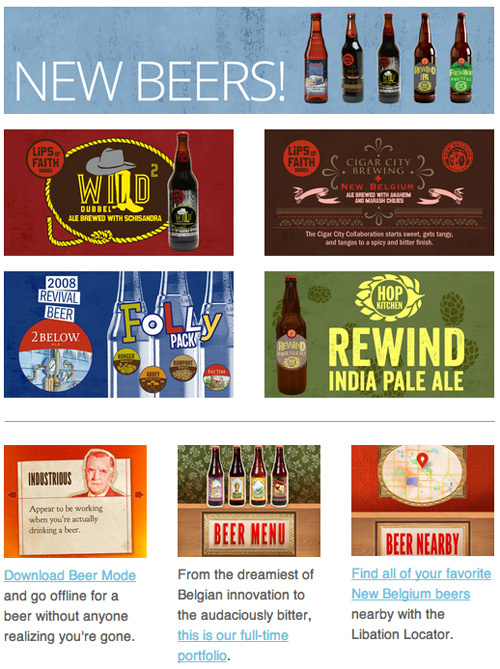 New Belgium Brewing is all-in for social media (with a half million Facebook likes and 212K Twitter followers), mobile and gamification with a variety of ways to make digital interaction with the brand fun and rewarding. As a member of the brewery’s Grand Cru Rewards program, you’re rewarded for visiting the company web properties, sharing its content, attending events and using its highly unusual Beer Mode app. Beer Mode users are offered exclusive access to special events and offers, and of course, the app makes it easy to locate a libation seller nearby. However, they named it “Beer Mode” for a reason. When you become a Beer Mode user, you can select a persona and the app takes over your Facebook and Twitter accounts by posting messages for you (so you can give beer your undivided attention). When you go into “Beer Mode” the persona you’ve chosen handles your social media for you. Kevin Darst, New Belgium’s digital manager, joined the conversation to paint a picture of how the company uses email to integrate their outreach efforts and engage their fans. 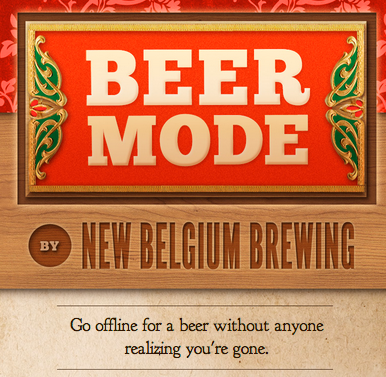 Unsurprisingly, New Belgium enjoys extremely high open and click-through rates. The event-based emails also enable subscribers to sign waivers in advance, learn more about the local causes and make donations. Many of the donations award the guests Tour de Fat branded items, which they pick up when they arrive. The New Belgium swag tends to sell out at most events. During my conversation with Bryan, I picked up on the fact that he’s remained pumped about handling media relations for the company for two decades. 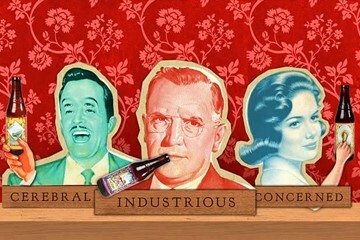 The reason: New Belgium always has something exciting brewing. We talked about the winter and holiday season, where obviously (and especially in Colorado) parades and outdoor film festivals won’t fly. In February, New Belgium hosts an event called “Lost in the Woods,” which celebrates the release of their Sour Beer Series. This coming year, they’ll come out with the 2015 version of La Folie, a beautiful oak aged sour beer. Check out the Facebook fun here.